A Teessider whose dad caused a sensation when he stole a Lowry painting from a Middlesbrough gallery, Sean Durkin is making a name for himself as an artist painting in Lowry’s style. 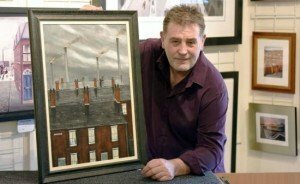 In 1972, John Durkin stole the painting by renowned Manchester artist LS Lowry, depicting St Hilda’s Church and Middlesbrough’s old Town Hall – and then demanded the Mayor raffle his underpants for charity to secure the painting’s safe return. When he was arrested by police after the theft, he had a ransom letter calling for art galleries to be opened on Sundays “to allow the working man to get some culture”. His son Sean, eight at the time, remembers the affair well – and is now a successful painter in his own right. He said: “I remember going downstairs one morning and on the mantelpiece there was this little painting depicting what looked to me like a big house, a church, and some ‘matchstick’ people scurrying around. Dad-of-two Sean also leaves a special reminder of his dad’s caper in every picture – he paints a stick man burglar running away from a stick policeman. Sean’s dad John has now retired to Spain – but the memory of that Lowry painting can still be seen in Sean’s work: That image and the atmosphere of it that I find so beguiling stayed in my head for many years until finally I built up the courage to paint myself. “The atmosphere is something I constantly strive for in my own work. 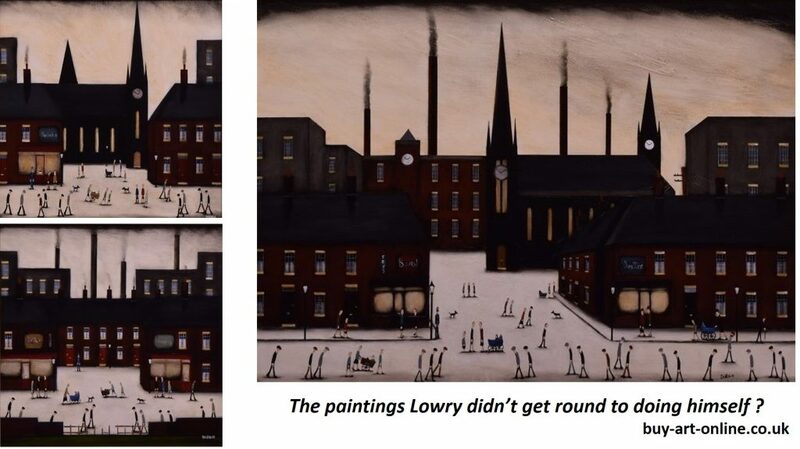 I don’t do copies, I like to think of my paintings as the ones Lowry didn’t get around to doing himself.